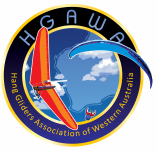 HANG GLIDERS ASSOCIATION OF WESTERN AUSTRALIA INC.
1) Promote the sports of Hang Gliding, Paragliding and Weight-Shift Micro-lighting in Western Australia. 2) Promote safe and competent flying by fostering a coaching culture. 3) Assist, facilitate and represent local Members with site management support. 4) Function as a central contact point for enquiries. 5) Cooperate with Civil Bodies in the facilitation of the three sports. 6) Work with the other State and National Hang / Para / Trike associations. 7) Take such steps as may be necessary to represent the views and requirements of Members in matters affecting the sports.